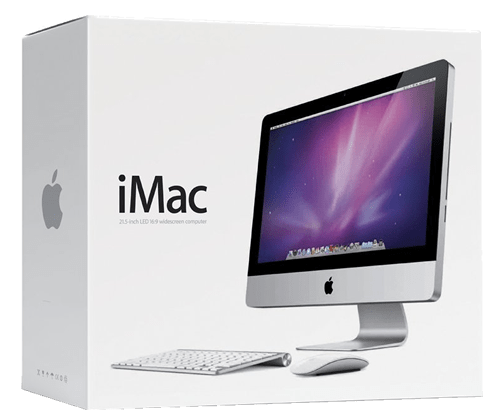 If you’re looking to get into the iMac scene then you will be safe to know that it can be done so without having to spend the big bucks. 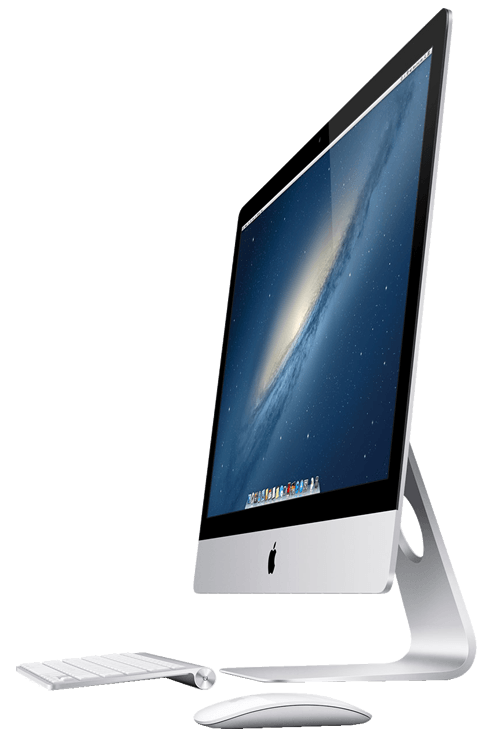 The entry level iMac generally gets forgotten about in the realms of Retina and 5K displays. 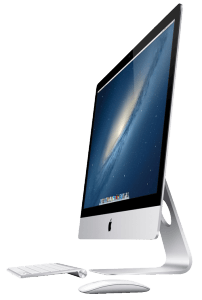 However the 21.5-inch is one of the cheapest alternatives to buying a desktop computer running OS X. It’s also one of the best looking all-in-one machines that you can buy. Apple always goes beyond expectations. For under $1,350.00 you can get a great looking paper-thin aluminum chassis with a tapering backside, sharp corners and a plentiful stand. 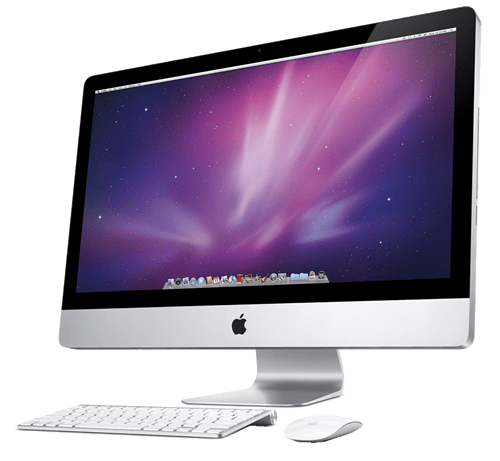 The style has not changed much since the released model of 2012, and even the 2012 model was an evolved looked from the original Unibody iMac. The connectivity and access ports are still in the rear and are hard to get to. The reason for this is because in attempt to keep the iMac looking clean and maintaining that thin appearance they have no other option than remaining on the back of the machine. However, once you get to the back of the machine you have access to: 4 USB ports, 2 Thunderbolt 2 connectors, 3.5mm audio jack, and a SD card reader. Since Apple doesn’t supply any extension cables for USB devices and the supplied wireless Magic Keyboard does not come with any connectors either. So access can be a bit annoying. When you look around offices and homes you generally find that the 24-inch monitor is the staple, run-of-the-mill size. The 21.5-inch Apple monitor feels pretty small in comparison, but thanks to their Full-HD panel with a glossy coating the colors surprisingly jump off of the screen with amazing vibrancy. Because of the glossy finish sometimes you will catch reflections on darker images, but as a whole, the glass still does a pretty good job of muting as many reflections as possible. With its wide sRGB gamut coverage and decent contrast the actual screen performance is quite impressive. It measured 97.7% and 919:1 respectively. The contrast of the screen varies quite a bit depending on your brightness settings. If you have auto-brightness enabled, the backlight adjusts to suit the onscreen imagine. When working with color sensitive projects this can get pretty distracting, but you can disable it in the OS X System preferences panel. Since you’re buying a budget iMac you’ll get its budget performance. The Dual-Core i5-5250U is a notebook type of chip system that you’d typically find in a average mid-ranged laptop. You can run into occasional shortcomings when opening multiple programs at once. 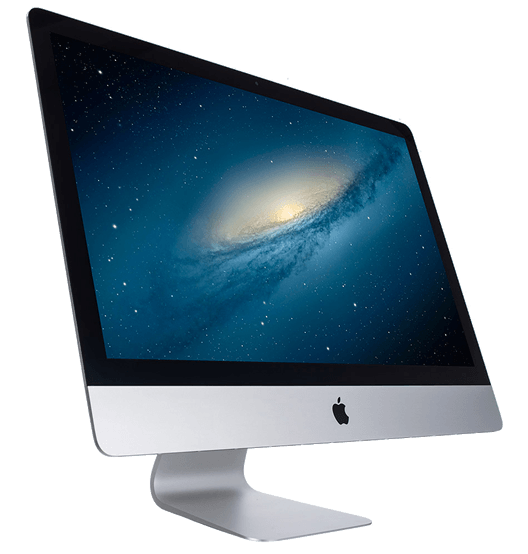 When compared to the 4K benchmarks this iMac scores in the mid-40s which is pretty respectable for a Dual-Core processor. 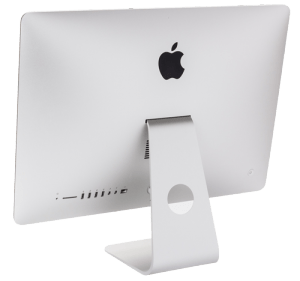 If you’re on a budget and looking for a very capable all-in-one for modest tasks and the occasional multi-media use, then this base model iMac will fit that bill very well. The base model is equipped with 8GB of RAM, which is sufficient for most multimedia chores. The integrated Intel HD Graphics 6000 won’t be able to handle the latest 3D games at high resolutions, but the older 3D games don’t seem to have any issues loading up and firing along. The base model only comes with a mechanical hard disk and there’s no way to upgrade once you purchase item you must order any upgrades at the time of purchase. The 1TB capacity is reasonable but slow around 100MB/s read and write speeds in the BlackMagic disk benchmark. If you already own a MacBook SSD you will for sure notice the speed difference when transferring files. All in all, it’s a very modest Apple product designed to perform on its budgeted pricing and will deliver what’s asked of it, but won’t be blowing our mind with extra frills. Planning on buying one? We buy laptops, tablets, or smartphones and help you get some money to put towards a new device! Get a quote right here on our site.